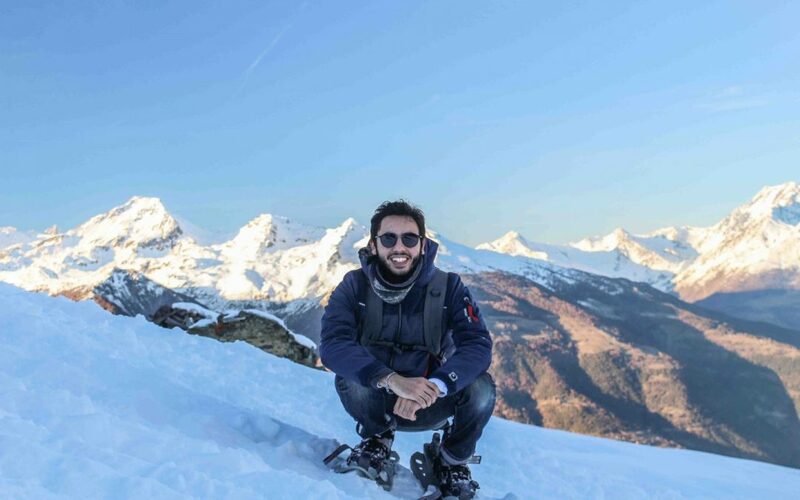 My name is Saad Fikri and I’m currently a second year of Environmental and Territorial Management Moroccan student at the University of Sassari in Italy, embarking on one of the most exciting adventures of my life. I have chosen to share my environmental adventures in the Futurismo’s blog of to promote Environmentalism as a way of life and Naturaliax as its community gathering. In my way to become an environmentalist I began by considering the fact that we are interstellar travelers living deep inside our planet’s protective biosphere, it sometimes takes some beautiful spacial pictures to realize that earth is the only place we know of in the universe that can support human life, and this is how I’ve chosen my Logo. Yet human activities are making the planet less fit to live on. So, what can we do? How can we change the world? How can we make it a better place? 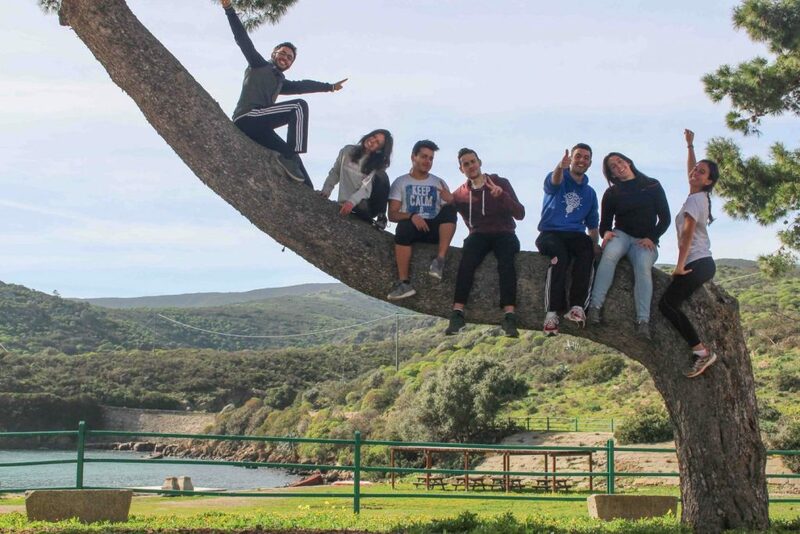 The purpose of Naturaliax is to answer those questions all together with Science Volunteering… and FUN! Today with the help of Futurismo of Claudio Serra, I will share with you my ecological adventure in one of the most incredible hiking trails in Sardinia. 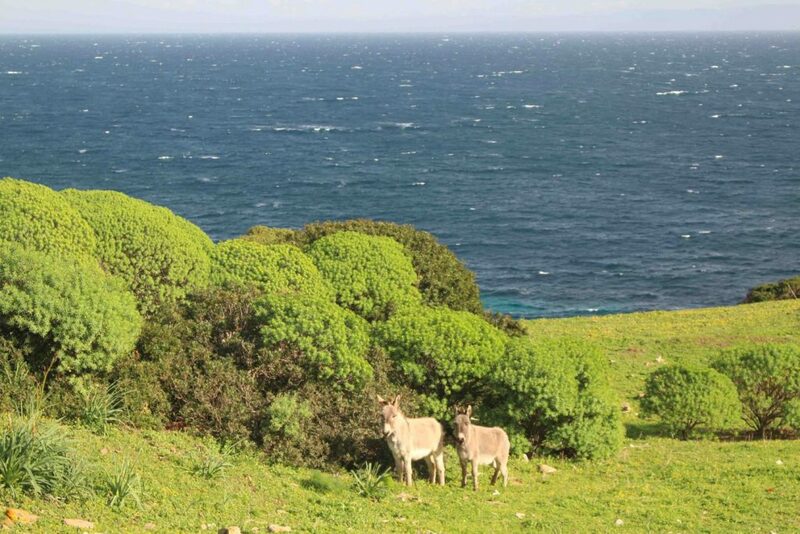 The National Park of Asinara. The Asinara Circuit is one of Italian’s finest treks. 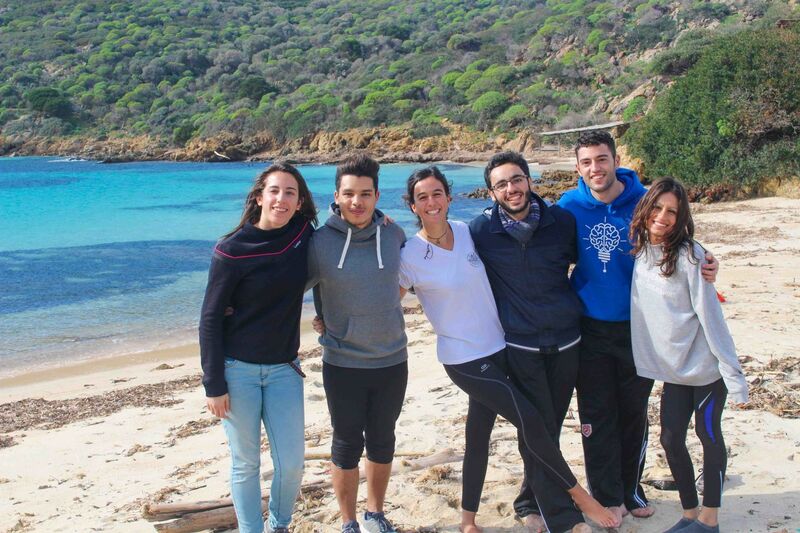 The island is located off the north-western tip of Sardinia’s coast, it takes hikers on a 21 km walk along with the coast, which at 83 m is the highest peak of the trek. Along the way it traverses crystal blue beaches, unspoiled mountain ranges, and mysterious archeology. Walking the same trails that the native Nuragic people have trodden for millennia, hikers will experience a memorable fusion of natural and cultural elements, the latter coming in the form of ancient villages and the legendary penitentiary. I hiked the Asinara Circuit in February 2017. Everything started on a sunny winter day, we were a cosmopolitan group of young Spanish and Moroccan students that had the desire to discover the donkey island. 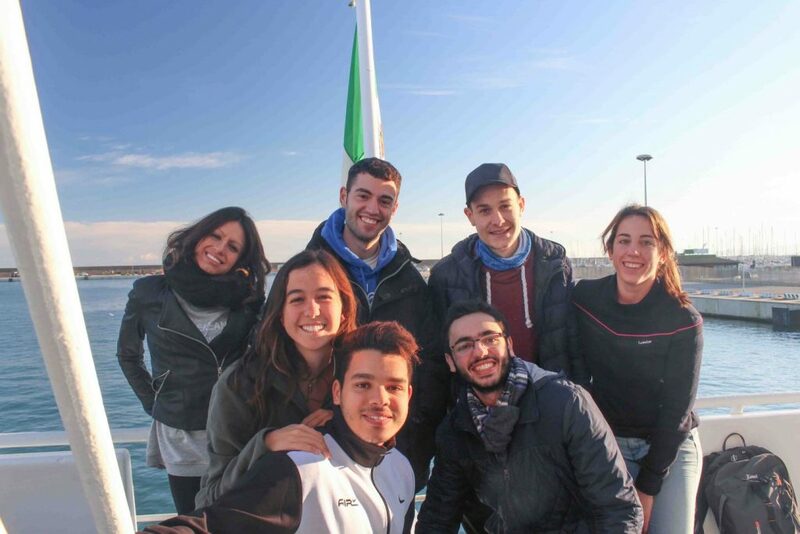 So, everything started in Porto Torres where we took our boat, and in the way to the island we could see that this region was well preserved as a national park since we saw some of the greatest minds on earth playing around and jumping near us, they were the wonderful Bottlenose dolphins. In fact, those animal’s cognitive abilities are so developed that they have a high acoustic and behavioral mimicry, a good comprehension of novel sequences in an artificial language, Memory, Comprehension of symbols for various body parts, Comprehension of pointing gestures and gaze (as made by dolphins or humans), Mirror self-recognition, and Numerical values. So, they are really a keystone specie with a disproportionately large effect on its environment relative to its abundance. Those dolphins are described as playing a critical role in maintaining the structure of the ecological community, affecting many other organisms in the ecosystem and helping to determine the types and numbers of various other species in the community. I knew some time after by a local fisherman that interactions between common bottlenose dolphins and the artisanal fishery in Asinara Island National Park was so intense that damage and economic loss was observed in the area. So one of the major challenge that the park will have to face in the future will be the management for the best of the interactions between bottlenose dolphins and the artisanal fishery in Asinara as it used to be for centuries. to be transformed into a lazaret and penal colony. 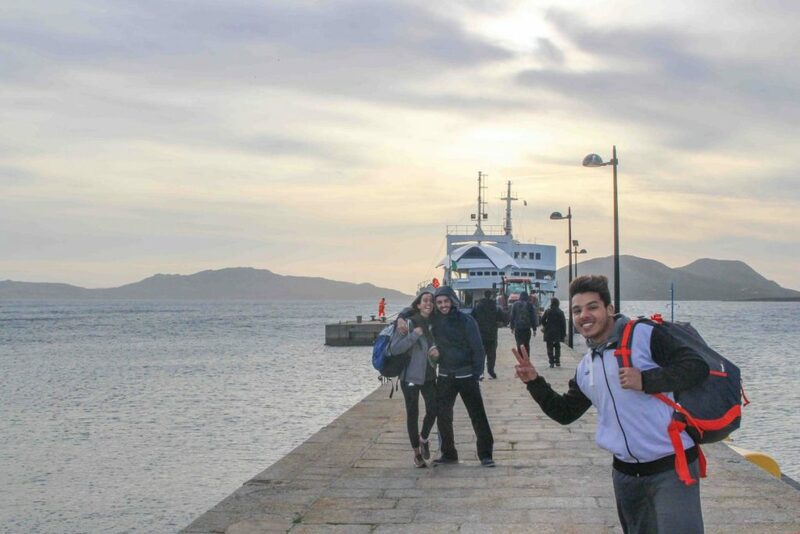 So basically, Asinara was kind of an Italian Alcatraz, till 1998 when it was decommissioned, and the entire island was declared Asinara National Park. Although it is often said that fate is a good provider, it can sometimes be dates like the 1885 law that coincide with very positive effect as the creation of a Marine protected area. Finally, we arrived to our objective that was to picnic at Cala Sabina, and it was literally an unforgettable experience, because of its fine, white sand, so soft that it seemed like flour, where we stretched out and relaxed, because of the clarity and color of its waters, which ranges from various shades of blue to light green, and because of its unspoilt seabed, so transparent that we saw numerous trusting fish swimming close to us. Here, flora and fauna are in a safe and protected place. The beach is dotted with a few rocks and set in luxuriant Mediterranean scrub, the colors and fragrances of which characterize the entire coastline of the national park. But we couldn’t stay as much as we wanted to in that small paradise, it was already the time to get away and the last ferry that connect the island to her bigger sister Sardinia would not wait for us. So, under the red broken sky and along the sea, we run to the boat thinking that sunsets are proof that endings can be beautiful too.